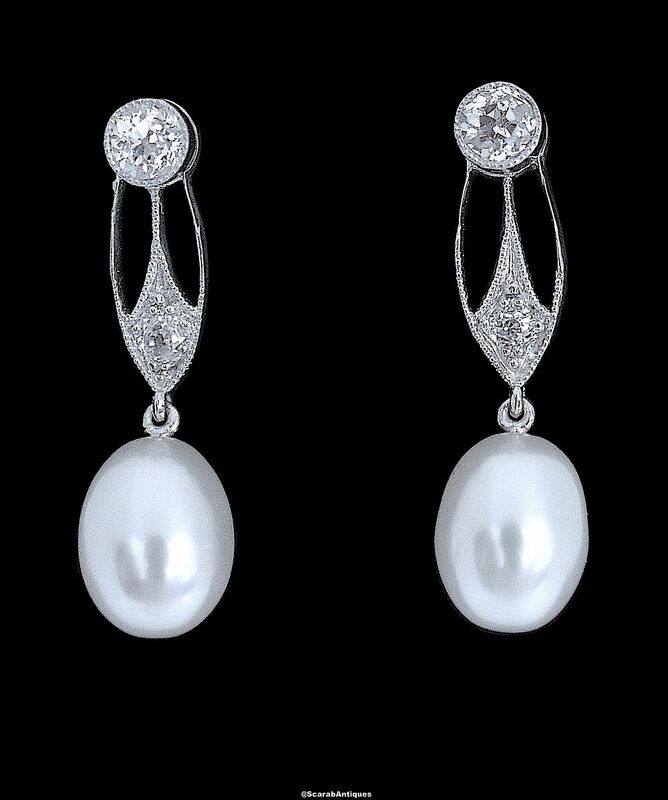 These are lovely elegant earrings. Made in white metal (tests platinum) each earring consists of a openwork oval top with a round diamond set into a mille-grained rubover setting at the top and a round diamond set into the bottom of the oval. 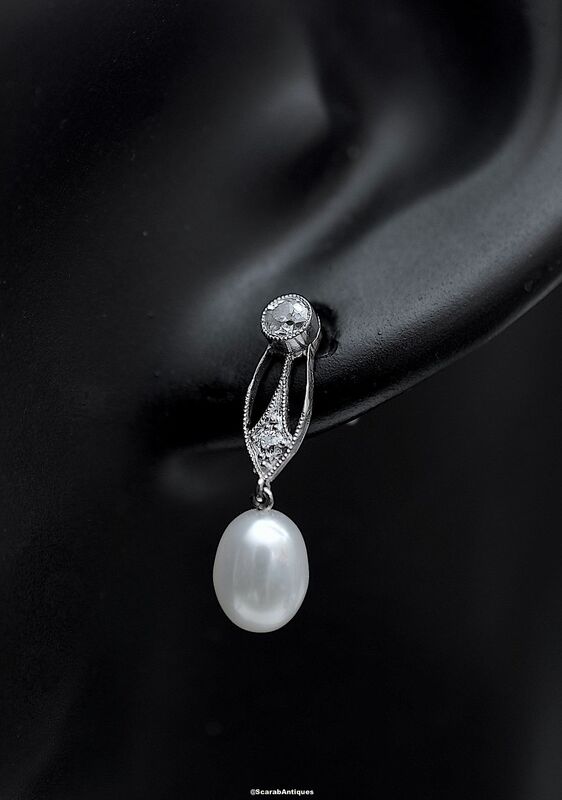 A teardrop shaped freshwater pear is suspended from the oval section. The earrings are fitted with posts for pierced ears and 18ct white gold butterflies.